Wickremesinghe's reinstatement on Sunday is an embarrassment for President Maithripala Sirisena, who replaced him with former president Mahinda Rajapaksa following differences over policy making and other issues. The South Asian island country's parliament voted to cut the budget for Rajapaksa and his ministers after Sirisena refused to accept no-confidence votes against Rajapaksa, saying that due process was not followed. Ranil Wickremesinghe has returned as Sri Lanka's prime minister, likely ending a political crisis that began in late October when he was surprisingly ousted. However, Rajapaksa failed to win a parliamentary majority and resigned on Saturday as a government shutdown loomed. 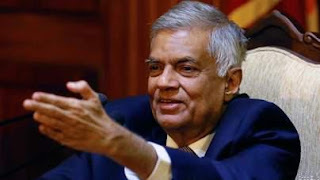 Parliament has already passed a confidence vote in Wickremesinghe while it sought his reinstatement as prime minister to defuse a constitutional crisis. On Friday, Sri Lanka's Supreme Court rejected Rajapaksa's bid for an injunction against a lower court's order that barred him and his Cabinet from performing their roles. Many foreign countries refused to recognise Rajapaksa's government.